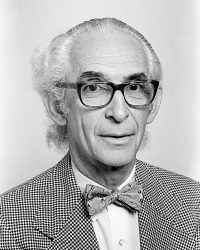 A legend in dental research, University of Texas Professor Emeritus Barnet M. Levy, DDS, MS, died March 7, 2014 in Mexico City, Mexico at the age of 97. He reportedly had been residing in an assisted-living arrangement in Mexico City and was still in touch with his mentees and friends. His wife, Henrietta, preceded him in death, and he was buried beside her in New Jersey.? Barnet ?Bar? Levy was born Jan. 13, 1917 in Scranton, Penn., and graduated from The University of Pennsylvania in 1938, with a bachelor?s degree in psychology. He earned his DDS from the University of Pennsylvania Dental School in 1942, followed by a master?s degree in bacteriology and pathology from the Medical College of Virginia. During World War II, Levy was deferred from military service because he was already serving in a role considered critical to national health, safety and interests. He began his academic career as an assistant professor of bacteriology and pathology at Washington University School of Dentistry in St. Louis, Mo., teaching concurrently at the university?s School of Medicine. He served as Chief of Dental Staff at St. Louis City Hospital from 1946-48 before becoming professor of dentistry and director of research and postgraduate studies at Columbia University School of Dental and Oral Surgery of the Faculty of Medicine from 1949-57. Recruited by Dr. Sumter Arnim, under whose tutelage he had worked at the Medical College of Virginia, Levy came to The University of Texas School of Dentistry at Houston as professor of pathology in 1957 and became the founding director of the school?s research arm, The University of Texas Dental Science Institute (DSI) in 1964. His focus at the DSI was on the fact that as people lived longer, they were plagued by chronic and debilitating ailments, including dental caries and periodontal disease, said Professor Emerita Peggy O?Neill, PhD, DDS, who worked with Levy at the DSI and regarded him as a mentor.? ?His answer to treating and preventing those diseases lay in a group approach in which the talents, capabilities, imaginations and interests of each DSI investigator were coordinated toward a common research goal,? she wrote in a tribute published in the UTHRO newsletter The Evergreen. Levy co-authored A Textbook of Oral Pathology (1958 et subq.) and pioneered use of marmosets ? small primates from South America ? in studies of periodontal diseases and oral cancer. Marmosets develop dental problems similar to those of humans, and at one time the DSI had one of the largest colonies of marmosets in the world. Levy was a charter member of the UT Graduate School of Biomedical Sciences faculty and served as oral pathology consultant to The University of Texas M.D. Cancer Center and the Veterans Administration Hospital. He was a past president of the American Academy of Oral and Maxillofacial Pathology as well as the International Association for Dental Research (IADR), and served as editor of the Journal of Dental Research from 1976-82 and associate editor of the Journal of Oral Pathology. He served on the National Academy of Sciences National Research Council, and locally, his experience included serving as chairman of the City of Houston Board of Health, and as chairman of Task Force I, the Centennial Council for Prairie View A&M University. He had more than 150 scientific publications to his credit, covering such diverse areas as experimental embryology, veterinary medicine, ichthyology and periodontology. Levy?s many awards include the IADR?s Isaac Schour Memorial Award for Dental Research, the Alumni Award of Merit from the University of Pennsylvania School of Dentistry, the Fred Birnberg Research Medal from Columbia University Dental Alumni, the Award for Distinguished Service from the American Association for Dental Research, and the Ignacio Chavez Distinguished Professorship at the University of Mexico. In 1987, Levy was named ?Professor Emeritus? by The University of Texas System in recognition of his long, distinguished career. A profile of Levy in the Graduate School of Biomedical Sciences? fall 1980 newsletter noted that he was an artist, as well as a scientist. GSBS alumnus Harold Sternlicht, DDS, PhD, wrote that Congregation Brith Shalom of Houston commissioned Levy to create 12 contemporary stained glass windows for its sanctuary on Bellaire Boulevard, with each window commemorating one tribe of Israel. ?When I sit in services and the sun streams through those gorgeous windows, causing me to reflect on my heritage, I think of Bar Levy and the beauty of spirit and creativeness which is his,? Sternlicht wrote. ?He is a teacher and a friend in the finest sense of the terms.? ?Late in life, he took up hang-gliding, mastered the Appalachian Trail and climbed Mount Kilimanjaro,? she wrote. ?Along the way, he acquired a gold earring which he promised to remove if it embarrassed his former students, but warned that doing so would make him old. ?Would that we all have the opportunity to look back on a life?s successful work and say, as he did, ?Whatever I am ? whatever I became ? I owe to my mentor and to my students.? ?